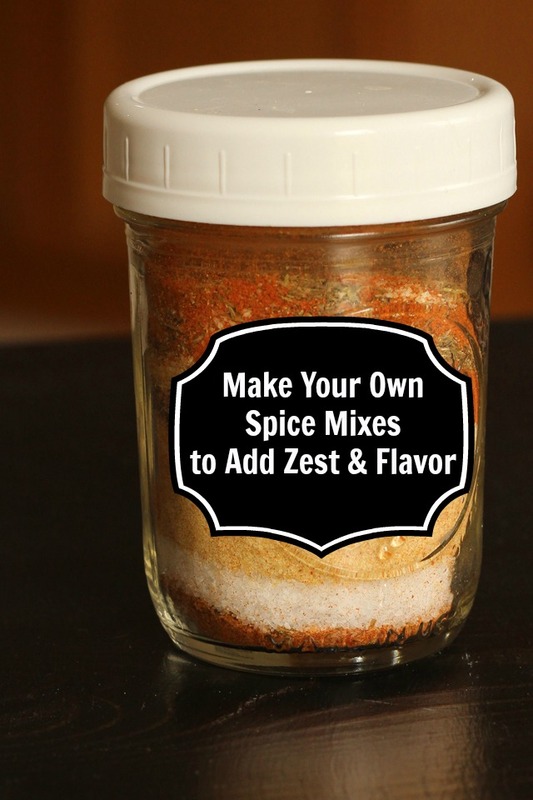 Make your own spice mixes to add zest and flavor and to save money! Making your own custom spice blends allows you great flavor without the expense. When you open my spice cupboard, you’ll find rows of little bottles of herbs and spices and bulk containers of herbs and spices, but you’ll also find mason jars of homemade spice mixes. These homemade blends are the first things I reach for when making dinner. Not only do I save money by avoiding commercial spice mixes, but I also control what ingredients go in them. It’s become such a habit with me to use these spice mixes, that I rarely have to get out measuring spoons these days. There’s a spice for that. 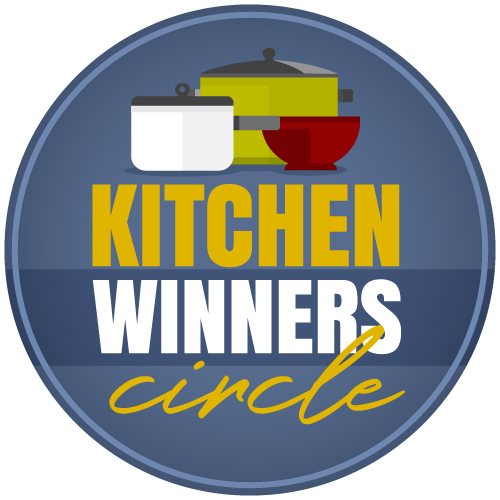 As homemade sauces can bring excellent flavor to simple dishes, so can spice mixes! Choose one today and mix up a batch to run through its paces this week. 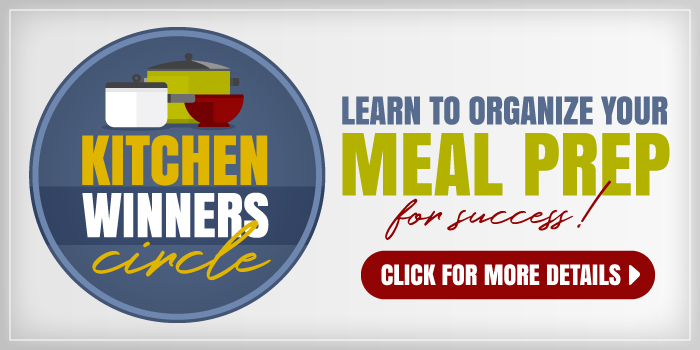 I promise it will make your meals easier! Here are some of my favorite custom spice mixes! One of my new favorites, we’ve been putting this Herbed Seasoning Mix through its paces. It’s proven to be delicious on steak, seafood, fish, chicken, vegetables, and rice. It’s all-purpose with green herbs, garlic, salt, and pepper. If you need to leave out the salt and pepper, you can. 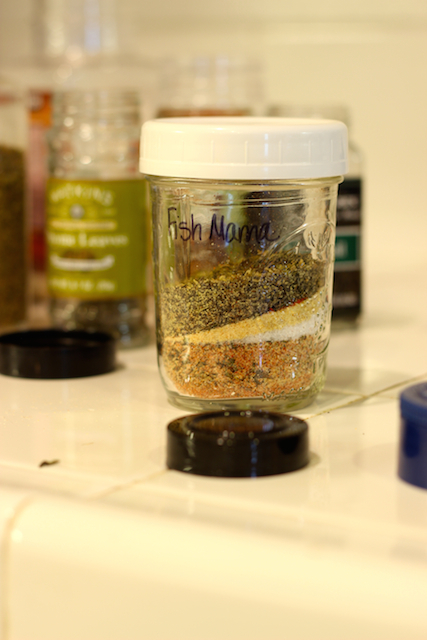 I love to use garlic and Italian herbs in my dishes, so I made a seasoning salt that combines these flavors and dubbed it FishMama Spice. I’ve used it in practically everything, and it works every time! 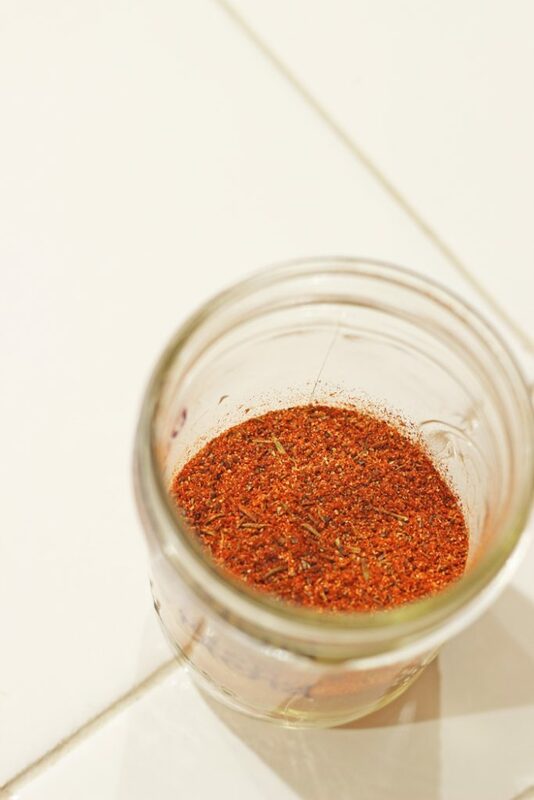 Jamie’s Spice Mix is an adaptation of a blend my sister gave out at her wedding. It’s an all-purpose Italian style blend that’s great in pizza sauce, pulled chicken, and Italian dishes. If you like a little bit of heat, this Cajun Spice Blend is for you. I work this spice blend into all kinds of dishes, like salads, pasta, burgers, meatloaf, and more. If you’ve got the Good Cheap Eats cookbook, you’ll find several recipes that feature this blend. If you’re looking for an all-purpose spice, this Basic Spice Blend is great. It has only five ingredients — but it packs a punch. I use it in marinades, on roasts, in stew, and in skillet mixtures. Typically, I don’t love the “herbes de provence” I’ve bought in the States because they usually have lavender in them. 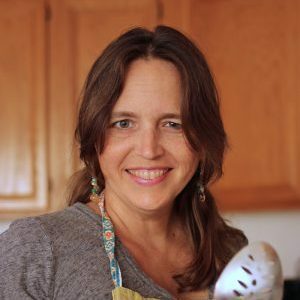 I don’t like culinary lavender, but I’ve tolerated in recipes for years. When we were in France, I stumbled upon a version without lavender and fell in love with it. 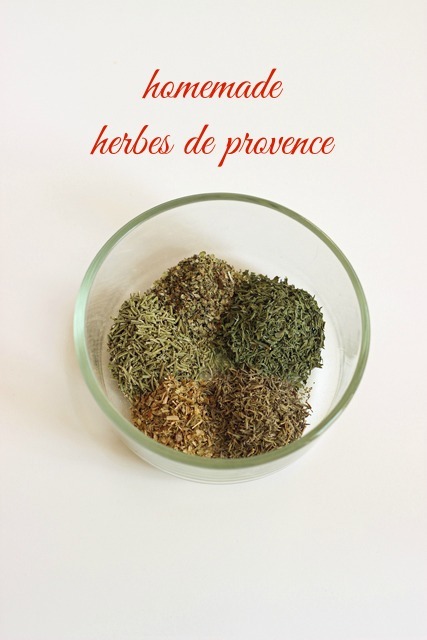 Now, I make my own Herbes de Provence. 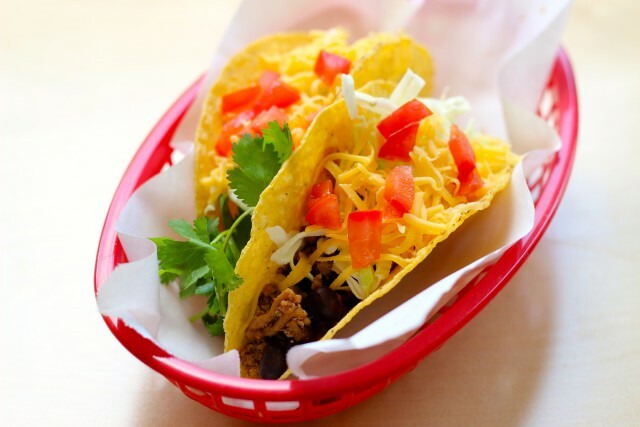 If you love the smoky flavor of chipotle chiles, you’ll like this Chipotle Taco Seasoning Mix. This mixture is delicious on cooked meats, in beans, in sour cream, or sprinkled into enchiladas. 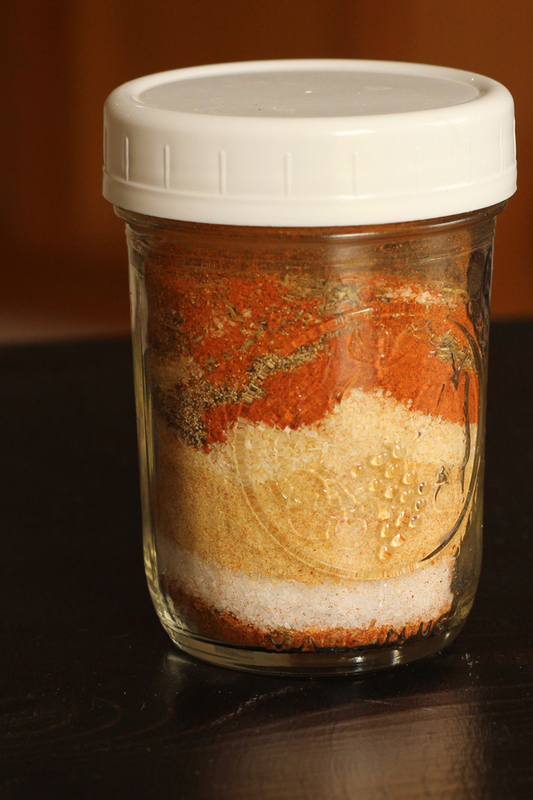 Tacos or burritos can come together very quickly if you’ve got some of this Homemade Taco Seasoning Mix on hand. I like to use this in freezer cooking to make up large amounts of taco meat that I can save for later use. 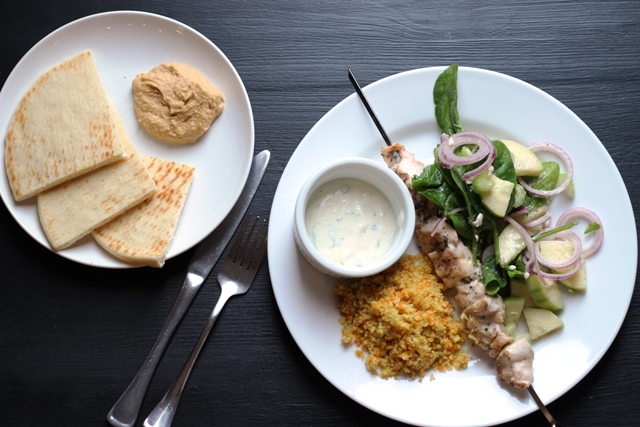 This Greek Spice Blend is one of my favorites. 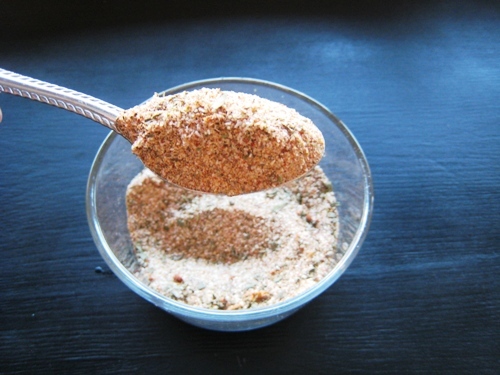 This all-purpose seasoning goes great on grilled meats and in dressings and dips. Most days I sprinkle it on chicken breast to grill or use it to mix into salad dressings. If you use fresh lemon zest, be sure to store it in the freezer. 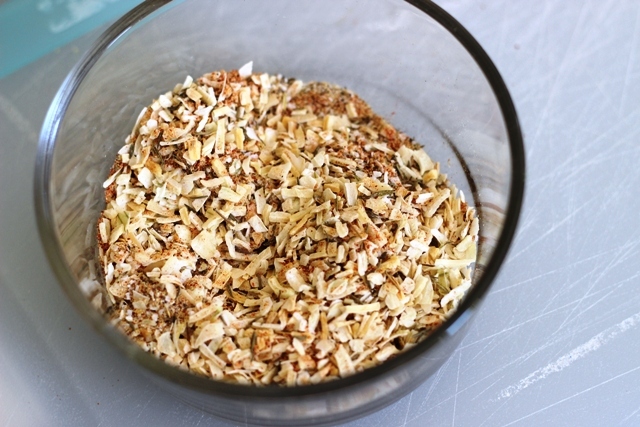 This Homemade Onion Soup Mix to keep on hand to flavor dips and main dish recipes. You will probably not need a one-to-one substitution for the dry mix. I’m going to bet that my version is more strongly flavored. What’s your go-to spice mix? Fabulous post! We’ve used the Jamie’s Spice Mix and like it a lot on chicken and pork (haven’t tried it on anything else yet). Thanks for the great ideas and motivation to mix some of these up.